Great value under assessment, priced to sell! Absolutely splendid condo with top quality finishes, professional design, amazing views and superb 15th floor location! Extremely open floor plan that was designed for entertaining with impeccable style and class. Custom designed gourmet kitchen with professional appliances including five burner gas Dakor cook top, Miele wall oven, microwave and warming drawer, wood front integrated Bosch dishwasher, Thermador 84'' tall French door refrigerator, ice maker and refrigerator in wet bar, quartz counter tops, stone topped island with seating for casual dining is open to the wonderful great room. A two-sided gas fireplace separates formal living room area and great room. 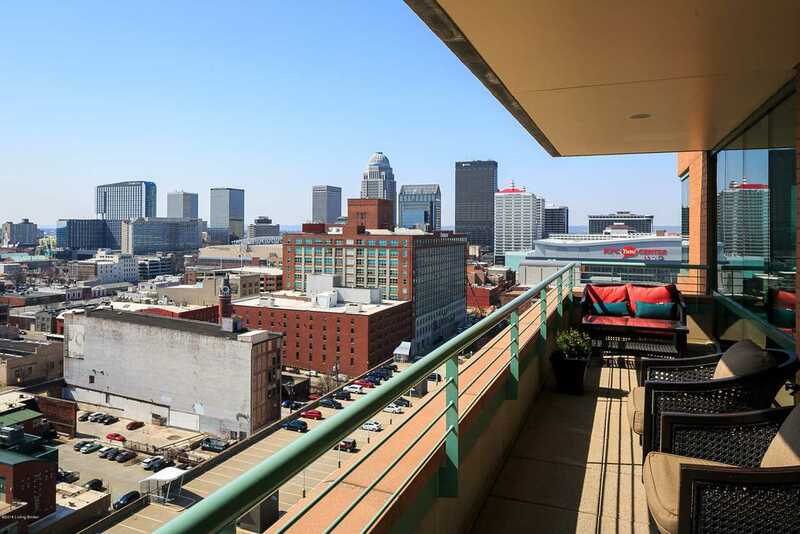 The public entertaining balcony is off the living room and has spectacular views of the ballpark, river and the city. The formal dining area with wet bar is open to living room and of course has incredible views too. The master suite with private balcony is gorgeous with beautiful bath and huge walk-in closet. Two additional bedrooms and full bath. All doors are 8' high, floors are finished with either incredible terrzazzo floors, extra wide hardwood flooring, ceramic tile, top grade carpet. There are wonderful spaces for art beginning with the curved entry foyer. Lovely powder room, fabulous laundry, outstanding storage, Sonos sound system, remote controlled blinds and much more! Wonderful building with incredible amenities. Sellers is a licensed real estate agent in the state of Kentucky. SchoolsClick map icons below to view information for schools near 222 E Witherspoon St #1502 Louisville, KY 40202.